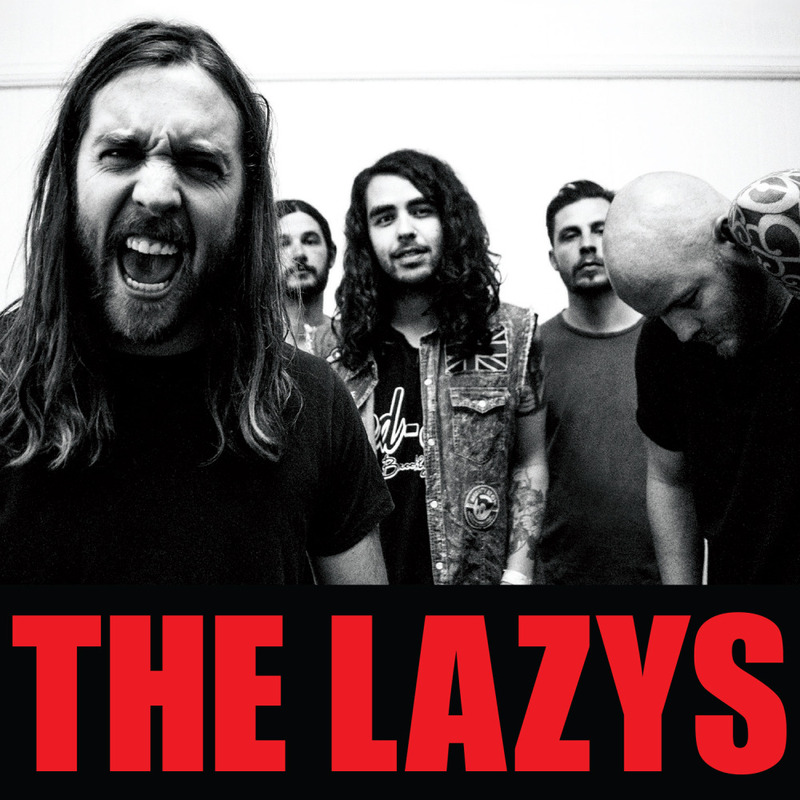 I recently got a chance to chat with Leon Harrison, lead singer for Australian rockers The Lazys, ahead of their Canadian tour and the release of their new album. Jean-Frederic Vachon: How did the band get together? Leon Harrison: The usual ways, friends getting together and jamming out rock n roll covers in the garage. We used to play parties and then eventually moved on to pubs and clubs. JFV: How did you settle on the name The Lazys? LH: Our guitarist, Matty, was described once as a lazy root ;-)! JFV: I’ve heard that your first ever gig in Canada was in Chicoutimi, Quebec. How did you go from Australia to playing there? LH: It was a surreal experience. We had no idea what to expect, but the reception we got from this small town was insane. We also couldn’t believe how little English people spoke there which was again something we all found really interesting. How we came to play there was in support of our legendary mates GrimSkunk! JFV: It seems you’ve created a lot of Canadian connections in the last year, from producers to songwriting partners to tour mates. How did this happen? LH: It all started through our showcases at Canadian Music Week. From there we met so many great people including Ian D’Sa from Billy Talent, Colin and John Angus McDonald from The Trews, producer Garth Richardson (Rage Against The Machine, Red Hot Chilli Peppers). We then secured management with Bumstead Productions, agency representation with Ralph James at The Agency Group and a recording deal with Pheromone Recordings. Since CMW we have done so much including co-writing our first single ‘Shake It Like You Mean It’ with Ian D’Sa, and recorded it with Garth Richardson in Vancouver. Now here we are touring the country in support of it. JFV: Will this be your first time in Montreal? LH: No, we supported our best Montreal mates the mighty GrimSkunk earlier in the year before CMW. We love Montreal and can’t wait to be back. JFV: As you mentioned, you wrote a track with Ian D’sa of Billy Talent and one with Colin and John-Angus MacDonald of The Trews. How was it to write with an outsider to the band? LH: It was great to co-write with Ian, John Angus and Colin. At first it was a bit weird, as we had never done anything like this before, however, after working with such amazing musicians it soon became very clear that their influence on our music was going to be a great thing! We couldn’t be happier with both songs! JFV: What’s your songwriting process? LH: Usually we have an idea, a concept, a riff. Once we decide it’s worth working on, we usually crack a few beers, relax and jam out what feels right. JFV: What are the band’s main musical influences? I’m guessing AC/DC is in there near the top? LH: Yep, AC/DC are a major influence on us. They set the blue print for what a kick arse rock band should be like. Work hard, rock harder! Other influences for the band include Led Zeppelin, Rage Against The Machine, The Angels, Billy Talent and Silverchair to name a few. JFV: There’s a barely controlled energy driving the songs on the album. How hard was it to capture this in the studio? LH: The studio has to be a fun place for us. For this record we worked with three producers. Gus Vango and Werner F in NYC, which focused on multi tracking, and we also worked with GGGarth Richardson in Vancouver who focused on capturing the band live. Both ways have their pros and the album reflects this. Its a great contrast between what we do live and capturing the right tones to have our music tear out of your speakers. JFV: Describe your live show, in one sentence. LH: Live, raw, energetic and dangerous! JFV: Thanks for taking the time to do this! I love the album and I’m looking forward to the show. The Lazys have a new, self titled album coming out on October 21st on Pheromone Records. This is their first Canadian release, following three EPs and an album in Australia. The Lazys will open for The Trews at Petit Café Campus (57 Prince-Arthur est) on October 18th 2014. Tickets available here.